With the arrival of October comes cooler weather, pumpkin-flavored everything, and a chance to enjoy Milledgeville’s fall events. We’ve created an October Event Round Up so you don’t miss out! All October: Scarecrows will be on display throughout Lockerly&apos;s 50 acres during the month of October. Stroll the grounds and vote for your favorite! All October: Pumpkin Spice Ice Cream & Milkshakes at SweeTreats! October 5th: Boo Y&apos;all Door Hanger Craft at Mod Podge Mama at 7 p.m. $25 per person, guests are welcome to bring a beverage and snacks. October 6th: Fall Y&apos;all Door Hanger Craft at Mod Podge Mama at 6 p.m. $25 per person, guests are welcome to bring a beverage and snacks. October 12th: Sassy Witch Corks & Canvas at Mod Podge Mama at 7 p.m. $25 per person, guests are welcome to bring a beverage and snacks. October 12th-13th: Mystery & Murder at the Mansion: The Case of Laura Cobb at Old Governor’s Mansion. Join in a fun game of who done it at Georgia&apos;s Old Governor&apos;s Mansion! Each game will start off with a 30 minute cocktail party featuring light refreshments and then you and your group will journey inside the Mansion to solve the murder of Laura Cobb! October 13th: Spooky Cat Petite Picasso Class at Mod Podge Mama at 10 a.m. $15 per child. October 13th: Family Fun Day at Lockerly Arboretum is a day of interactive activities for the whole family. Family Fun Day will take place at the arboretum on Saturday, October 13, from 10am - 3pm. This event is FREE and open to all ages! Activities for the day will include: Hay Rides, Kids-n-Clay, Fun with Microscopes, Guided Hikes, Animal Tracks, and more!!! October 13th: Hocus Pocus Corks & Canvas at Mod Podge Mama at 6 p.m. $25 per person, guests are welcome to bring a beverage and snacks. October 14th: Batty Petite Picasso Class at Mod Podge Mama at 2 p.m. $15 per child. 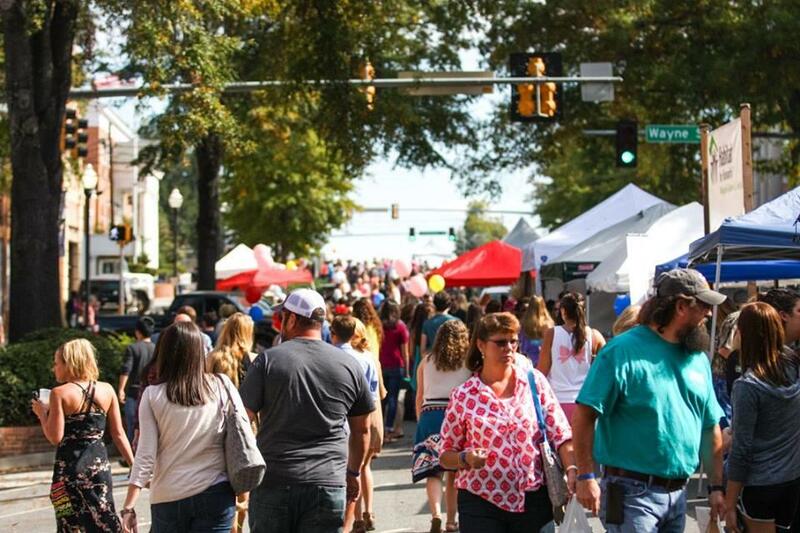 October 20th: Deep Roots Festival is a lively cultural arts and music festival that brings historic downtown Milledgeville to life like nothing else. It beckons travelers from all over with an antique car show, live entertainment ranging from bluegrass to rock-and-roll, artist market, and a "LittleRoots KidZone." Festivities kick-off at 10 a.m. and the music pumps until midnight. October 20th – 25th: If you are ready for fun, laughter and to face your worst fears, then take a ride on Milledgeville’s Haunted Trolley Tour. All the ghost stories are based on documented accounts, which make them all the spookier. The tours will be given October 20, 22 & 23 at 6:30pm and 8:30pm and on October 24 & 25 at 7:00pm and 8.30pm. Tickets go on sale Oct. 1st starting at 9:00 AM. October 27th: Witch Petite Picasso Class at Mod Podge Mama at 10 a.m. $15 per child. October 27th: Sugar Skull Corks & Canvas at Mod Podge Mama at 6 p.m. $25 per person, guests are welcome to bring a beverage and snacks. For more information on these events and others, please visit our calendar. Meet Makayla. 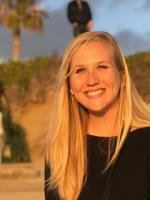 Makayla Hays is a current senior at Georgia College where she studies mass communication and marketing and lives in the charming community of Milledgeville. She loves all things related to travel, food, books, and films. When she's not studying at Blackbird Coffee or working on her latest project, you can find her laughing with friends in one of Milledgeville's many restaurants downtown. Her dream job would be to work as a travel writer or videographer.